September’s about to end, and we are here to present to you two new updates that was the Top Picked from our Feature Voting List. There were lots of choices but these two are the most voted and so we decided to implement this on iClan Websites. We know that sometimes, when we send some personal chats/messages to our friends or clan mates, there is a time that we intend to alter it and delete the message for some reason. 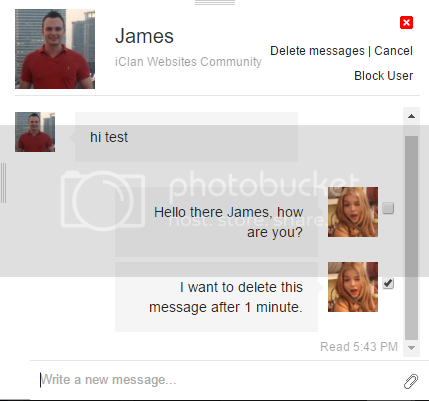 Thus, we have implemented this feature whereas the user that sent message can either delete a single comment or cleanup the entire chats that he/she has sent. In this image, we can see that “Arnulfo” has sent in a message to James. We then go to the profile of “Arnulfo” who has sent the message and delete a single comment in the chatbox. You can now see in this image that the previous comment was already deleted. Many have requested for this feature to be implemented thus we deliver to you this new feature whereas Tournament Organizers can now track down if their members are already ready or not. 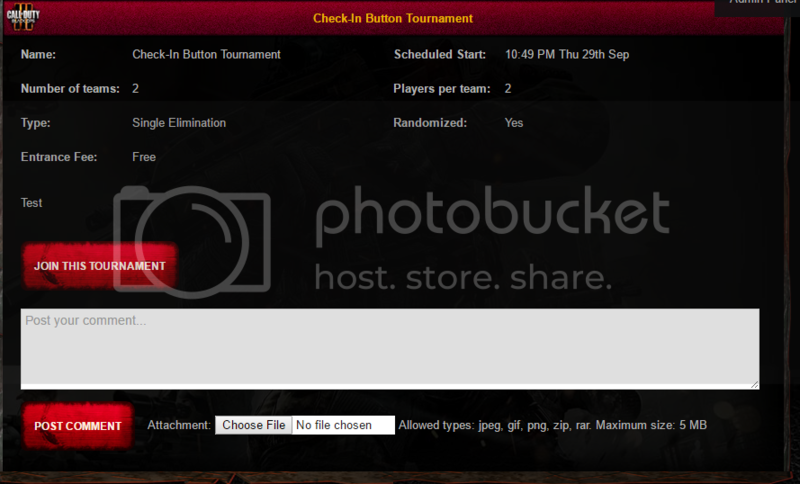 After joining a tournament, players/members can now click “Check-In” or “Check-Out” for them notify the organizers or other members on the tournament if they are already ready for the tournament to start. You can visually see this with a circular "green" sign beside the member’s name. We hope that these two new features would help our users to enjoy and utilize more of what we can offer to the community. We used to be able to moderate the chat box until you removed that feature, any chance of bringing that back? Hey thanks! :) cheers for more features to come!